There 's nothing quite like the smooth feel and luxurious scent of fresh leather. Whether you 're enjoying the clean interior of your luxury car, the smooth touch of fine apparel, or the beautiful look of fashionable accessories, you 're sure to enjoy the scent of freshly-tanned fine leather. 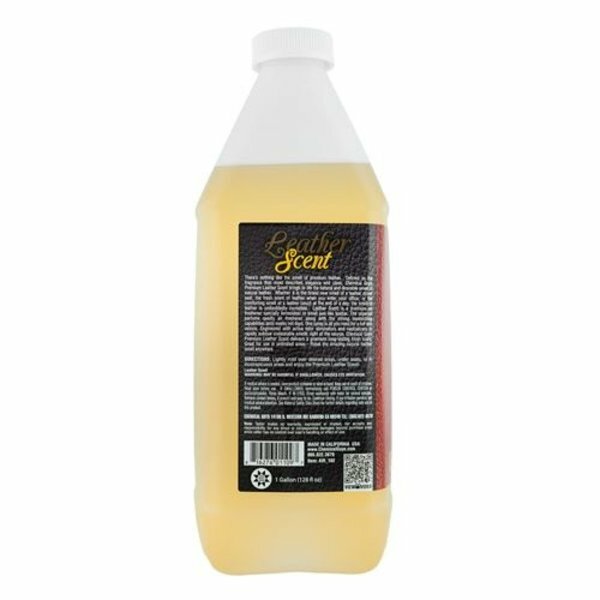 Chemical Guys synthesized Leather Scent Premium Air Freshener & Odor Eliminator to recreate the scent of leather and remove foul odors from any enclosed space. Mist Leather Scent inside the car to restore a fresh leather scent around seats and upholstery, spray it around the house to fill the room with the scent of brand new leather furniture, or remove stale cigar smells from the man cave or gentleman 's clubs and accentuate the smell of the fine leather easy chairs. No perfume lasts forever, so Chemical Guys blended in odor-eliminating enzymes that seek out and destroy odor-causing maladies. Purge musty mildew and stale French fry odors from air conditioning ducts to restore fresh air inside the cabin of any automobile as part of your odor elimination service on your next interior detail job. The possibilities are endless, and the enjoyment infinite when you mist a few sprays of Leather Scent Premium Air Freshener & Odor Eliminator in any enclosed space. The scent of leather means different things to different people. What comes to mind when you breathe in the musk of fine leather? Maybe it 's a form-fitting motorcycle jacket, a well-worn guitar strap, or your favorite pair of boots. Some people recount the joy of purchasing their expensive designer handbag or fine leather wallet when they catch the scent of fine leather, others relive warm reminiscences relaxing with friends in plush leather easy chairs. Whatever your fancy, you can relive those great moments with Chemical Guys Leather Scent. Mist a few sprays around the home, office, car, gentleman 's club, and any other enclosed space that can use the smooth, sophisticated scent of fine leather. And even after the refined leather perfumes dissipate into the ether, Chemical Guys odor-eliminating enzymes ensure that any foul smells are purged from the space so that the area smells like… nothing. Chemical Guys engineered Leather Scent with active odor eliminators and neutralizers to rapidly subdue undesirable smells right at the source. Leather Scent Air Freshener & Odor Eliminator pleases the senses with the fresh clean scent of a brand new car. Leather Scent is the perfect scent that makes any car smell brand new! Leather Scent Air Freshener & Odor Eliminator is enriched with active odor elimination enzymes, delivering a fresh scent that lasts weeks, not days. One spray is all you need for a full size vehicle. 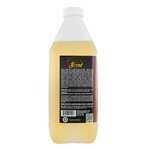 Enjoy the refined scent of sophistication and class with Chemical Guys Leather Scent Air Freshener & Odor Eliminator. 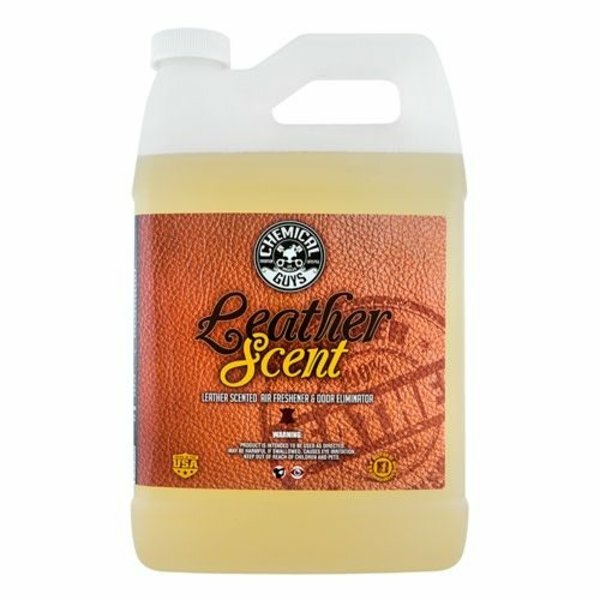 Leather Scent Premium Air Freshener & Odor Eliminator is available in 4 ounce, 16 ounce, and 1 gallon sizes.